Once the floor demolition was complete, the next step was to level it out. Sine there were multiple materials at different levels in the basement, we wanted to make it uniform before putting the new floor down. Here, we tore out the existing wood and rebuilt a leveled platform with cement board on top. As the basement demolition continues, we’re still making great progress.. 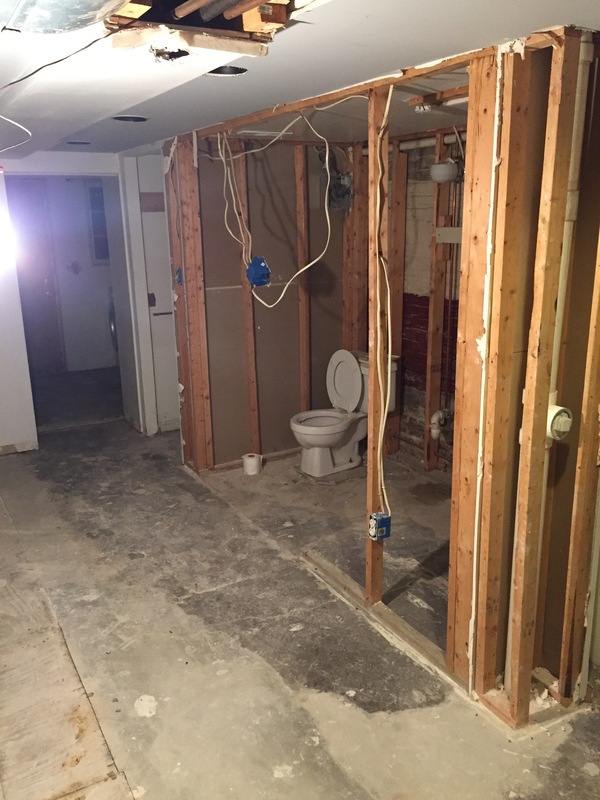 The bathroom is now gone and lots little features have been taken care of. With every wall that comes down, the space seems bigger and bigger. Yesterday started another exciting chapter: gutting the basement. We may be sad to leave our 90’s shag carpeting and carpeted bar behind, but it’ll be well worth it in the long run.